Sydney: Is it worth the price of admission? The survey showed results from 86 major international markets throughout nine countries including Australia, China, Ireland, United Kingdom, Canada, Japan, New Zealand and the United States. Hong Kong has taken out first place in being the most unaffordable metropolitan market in the world. According to the survey, the most affordable major metropolitan markets were in the United States whilst Sydney’s housing affordability median multiple fell to an all time low of 9.8. This is a huge increase from last year’s score of 9.0 and results in this being the eleventh year Sydney has made Demographia’s top ten. The survey reported all of Australia’s five metropolitan were increasingly unaffordable and had a median multiple over 6.5.
told the Property Observer that Sydney is now more unaffordable than ever before. “It takes about 54% of after tax income to make loan repayments on the median value home of $852,500; it takes close to eight times the annual median income to buy the median Sydney home. These ratios are extraordinarily high based on historical data,” Mr Edwards saidEdwards believes that Sydney prices are set to skyrocket even further over the coming years. “By the end of 2019 it is estimated that there will be 91 suburbs with a median value in excess of $2 million, this represents about 9.5% of the city. “The percentage of the city with median suburb value over $1 million will be approximately 43.25%.” Mr Edwards said. As Sydney’s property market prices continue to rise it is becoming harder for the future generation to live in the city. stated in the Brisbane Times that prices are becoming so high that most young people are struggling to get a foothold. Waterford states that it takes up to nine times the average salary to buy a house in Sydney, which results in the harming of young people and Sydney’s future diversity and prosperity. told the Brisbane Times that Sydney housing prices are restricting young people from entering the property market altogether. “We are creating a city for millionaires most of whom are either approaching retirement or retired,” Mr Stevens said. spoke in the Sydney Morning Herald about how outraged he was by how difficult it is for young people to reside in Sydney without going broke. “I'm saddened that both my girlfriend and I will have no choice but to work well into our 30’s so we can squirrel together a deposit and have to delay starting a family. “I'm tired of the politicians who have consistently avoided addressing Australia's housing affordability issue over the past decade,” Mr Whitty said. 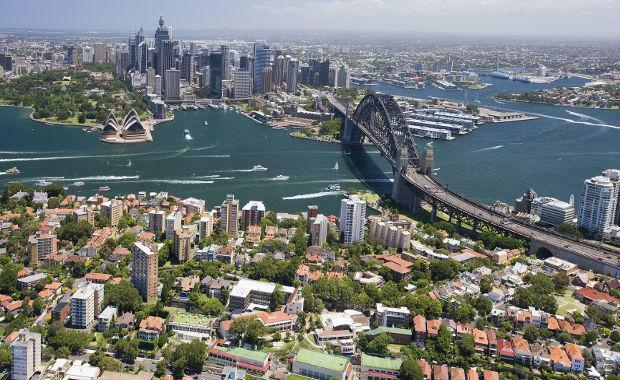 In reflection of all the perks the buzzing city of Sydney has to offer in contrast to how unaffordable it is to live in, would you still battle the property market to reside in Australia’s most well known city?